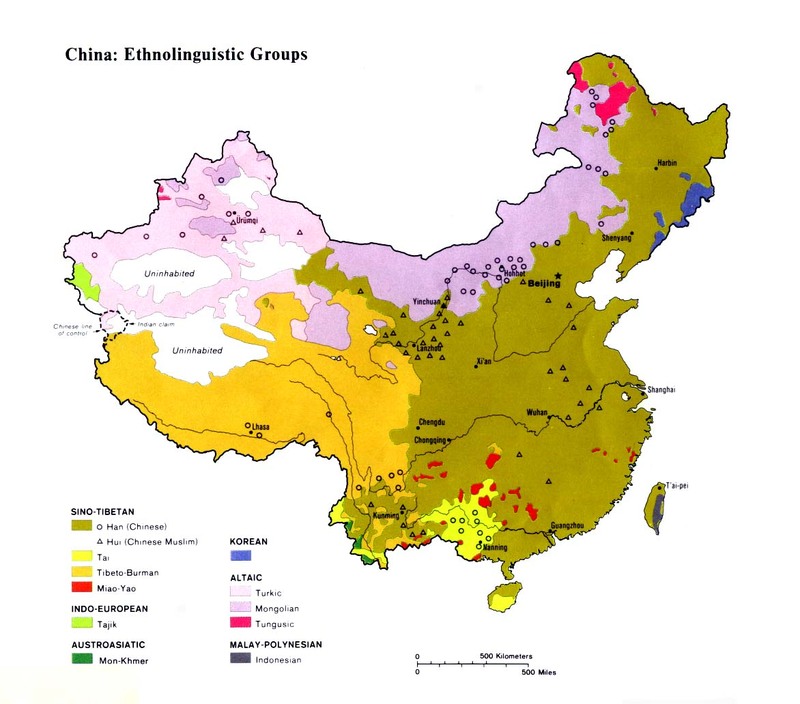 Few sources list the existence of the small Purik people group in China. It is not known what nationality, if any, they have been classified under by the government. "The name Purig-Pa [Purik] is given by the people of Ladakh and Baltistan to the inhabitants of the Kargil area in Jammu and Kashmir. Purig-Pa means 'Of Tibetan Origin'." The Purik language, called Purig-Skad, is a hybrid of Ladakh Tibetan and the Balti language. "Since their conversion to Islam, their language has been influenced by Balti. All the religious sermons, hymns (Qasidas), and cultic mourning (Natam) are sung in Balti or Persian." In its original form, Purik was a Western Tibetan language related to Ladakhi and the Lahuli varieties. The Purik are one of the ancient peoples of northern India. They are a rare example of Tibetan Buddhists who recanted from their faith and embraced another religion - in this case, Islam. Before their conversion to Islam, the Purik people held Tibetan Buddhism as their main religion. "Food and fodder were plentiful because a check on population was kept through such practices as polyandry, primogeniture and sending boys and girls to the monastery. With the introduction of Islam, the people started practicing polygamy, Muta (temporary concubinage) and division of the land among the children. As a result there has been a big increase in the population." With the exception of half a dozen villages, all the Purik population in India are Muslims of the fanatical Shi'a sect. It is uncertain if the small number of Purik in Tibet have reconverted to Tibetan Buddhism, or if they are practicing Muslims. The only outreach to focus on the Purik in India was undertaken by the Central Asian Mission, which worked in Kargil from the early 1900s until 1956. In addition to operating an orphanage and a medical clinic, missionary Daniel Berger translated the New Testament into Purik in 1950. Other laborers included the Mazzoni family, Nina Drew, and Betty Hall. Presently there are only three known Purik Christians in India; all live outside Kargil. There are no known Purik believers in Tibet. The Purik are considered extremely resistant to the gospel. Scripture Prayers for the Purik in China.